After several huge boxing matches with the likes of Juan Manuel Marquez, Marco Antonio Barrera, Erik Morales and David Diaz, Manny Pacquiao has already earned himself quite a lot of money. I’m sure everyone has heard rumors of how he’s spent his money, including a stint to compete for a congressional seat in the Philippine House of Representatives. We also know of his many endorsement bonuses from Nike, No Fear, San Miguel Beer, Alaxan and even Magic Sing! Anyway, let’s just say Manny Pacquiao is very well-off (to put it lightly). Now, Manny Pacuqiao is set to fight Oscar De La Hoya in what could possible earn him $23 Million Dollars. With a 40 peso exchange rate to the dollar (and that’s being crude), that would be something like – 920 Million Pesos. Ho hum, now what to do? At this point, you may space out for a bit and give yourself some time to imagine. Manny Pacquiao – 23 million dollars/920 Million Pesos! Manny Pacquiao, you should invest 20 Million Pesos to live it up in Las Vegas for a while, and work on the possibility of getting Daniel Negreanu, Phil Helmuth, Barry Greenstein, Phil Ivey and Howard Lederer to teach you some texas hold’em, and you could probably earn at least 20% investment on your 20 million pesos each month. 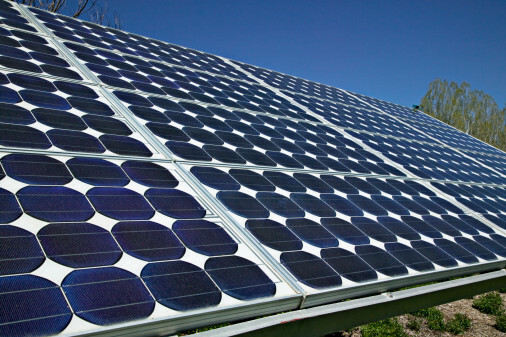 On the remaining 900 million pesos, Manny Pacquiao should put up a corporation that would handle a group of companies that would specialize in: (1) providing alternative energy solutions for the Philippines; (2) constructing and managing a world class 100,000 seater stadium and sports center that can host big sporting events and possibly be the kind of secure and developed Philippine venue that U2 would agree to play on; (3) building and managing a desalination plant that could transform the surrounding Pacific Ocean to drinkable, potable water for the 7,200 islands of the Philippines; (4) promoting boxing fights and not just for Philippine boxers, but the good fights; (5) managing assets on co-ownership of a professional sports team like maybe the Boston Celtics or something that could use some improvement like the New York Knicks; and (6) produce Hollywood blockbuster movies, preferably by Pixar. It might sound like the bills might go over budget from 900 million pesos, but then that’s where the business sense of Manny Pacquiao should kick in along with the wheeling and dealing that is needed to transform 900 million pesos into something even bigger and greater. And while my list may seem a tad bit too far-fetched and exaggerated, there are some bright ideas there that I’m sure Manny Pacquiao can start with in order to provide a positive and worthwhile contribution to the development of the Philippines, and not just build his certain legacy, but also provide a sustainable thriving business that could multiply his money. Oh, and Sir Pacman – if you ever need anyone to help you run such a cooperation, I would be honored to submit an application. Meanwhile, our thoughts go with you in your next match against Oscar De La Hoya. They may not be favorable thoughts for you, but at least $23 Million dollars. Manalo, matalo – malayo na mararating niyan, diba? Pacquiao vs Dela Hoya Tickets and Ringside Seats Available Here. Philippine boxing champ Manny Pacquiao and Golden Boy Oscar De La Hoya have already signed a contract to fight on December 6, 2008 at the MGM Grand Garden Arena in Las Vegas, Nevada. However, there is still a possibility that the fight might not happen. It is stipulated in their contract that Oscar De La Hoya will pay Manny Pacquiao $3 Million per pound that goes over the 147 welterweight limit. And if Oscar De La Hoya doesn’t make the weight and reaches 150 lbs. during the weigh-in, then Pacquiao’s trainer Freddie Roach will just have to pull the plug on the fight, and that’s that. Freddie Roach stated that if Oscar De La Hoya weighs in at 150 lbs., it will just be an unfair fight for Manny Pacquiao. According to Freddie Roach, it doesn’t matter if Oscar De La Hoya will pay $9 Million for the overweight, but fighting at 150 lbs. is a totally different story altogether. Oscar De La Hoya already has the height and reach advantage over Manny Pacquiao, and the weight will be the true equalizer for both boxers. If Oscar De La Hoya comes in heavier, then it just really stacks up the odds against Manny Pacquiao, and Freddie Roach is just being a wise trainer in protecting his boxer. Freddie Roach thinks that if Oscar De La Hoya really wants this fight to happen, then De La Hoya should really do his best to meet the weight requirement. After all, it was Oscar De La Hoya who called out Manny Pacquiao to fight at 147 lbs., albeit after hearing that Freddie Roach said that De La Hoya couldn’t pull the trigger against Pacquiao. Hmmm… boxing trash talk. Anyway – Manny Pacquiao and Oscar De La Hoya stand to make huge amounts of money from this fight should the fight push through. In fact, after all the bills have been collected from ticket sales of the MGM Grand Garden Arena, the pay-per-view broadcasts, the sponsors and what-have-you – it is estimated that Manny Pacquiao can earn as much as $23 Million. Oscar De La Hoya stands to make more. It might come out to be the biggest purse in boxing history for a single fight. Well, we have to wait first if Oscar De La Hoya makes the weight to see if there will be any fight at all. Yo, Golden Boy, stay away from those cream puffs! Pacquiao-De La Hoya Tickets and Ringside Seat Tickets Are Available Here. The Golden Boy Oscar De La Hoya gave his comments about his upcoming 12-round non-title bout versus Manny Pacquiao on December 6, 2008 at the MGM Grand Arena in Las Vegas, Nevada. He had some pretty fair stuff to say about Manny Pacquiao, but of course included a bit of trash talk, and other talk about his career and the other fights that could’ve been had Manny Pacquiao backed out of the deal. I came across Oscar De La Hoya‘s comments, by accidentally stumbling upon this You Tube video. There’s even some Floyd Mayweather Jr. trash talk on the video with him showing off 1 million dollars. “Put your money where your mouth is. I’ve got a big mouth, and I’ve got big money.” Well, from what I recall, Mayweather did beat De La Hoya via split decision. Anyway, Oscar De La Hoya also discusses his take on Manny Pacquiao’s style of boxing versus his own, and also talks about Pacman’s insatiable hunger for his share of the fight purse. Or can I say gluttony? Well, Manny Pacquiao just probably wants more money to make up for the few million pesos he’s leaked from “bad” investments. Kasi naman, Manny, tama na yung high-stakes betting sa billiards at sa poker. Anyway, it’s an exclusive interview with Oscar De La Hoya who explains everything that’s going down on the fight against Manny Pacquiao, including a preview of the awesome under card for the night. 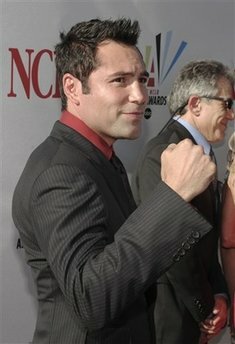 I won’t give out too much information, just listen to what Oscar De La Hoya has to say. Incidentally, De La Hoya-Pacquiao Tickets and Ringside Seats for December 6 at the MGM Grand Arena are available here. The Philippines very own boxing sensation, WBC lightweight champion Manny Pacquiao has agreed to fight six-time boxing world champion Oscar De La Hoya for a 12-round non-title bout at the welterweight limit of 147 pounds on December 6, 2008 at the MGM Grand Garden Arena in Las Vegas, Nevada! The Pacquiao vs De La Hoya fight is expected to be the biggest fight of the year, and will be a sure blockbuster pay-per-view event. Promoters Bob Arum of Top Rank and Richard Schaefer have already shook hands, but the share of the purse for this main event has yet to be announced. The Pacquiao vs De La Hoya match took three weeks of negotiations. Initially, Manny Pacquiao wanted 40% share of the purse while Oscar De La Hoya offered 30%. Eventually, the two parties agreed to something in between. 35% maybe? The Mirage Hotel and Casino odds makers already opened a betting line for the Pacquiao vs De La Hoya fight, and odds makers are making Oscar De La Hoya as an 8-5 favorite over Manny Pacquiao. Well, that seems normal as Oscar De La Hoya has had experience fighting at 147 pounds even though he hasn’t fought at that weight since 2001. Meanwhile, Manny Pacquiao hasn’t found above 135 pounds, and it will be interesting to see how Manny Pacquiao gains the weight to match up against the size of Oscar De La Hoya. Of course, being a Filipino – I am excited to cheer for Manny Pacquiao to beat one of the world’s greatest boxers in history in Manny Pacquiao For Oscar De La Hoya, this may be his last fight before he considers retirement at the age of 35. Oscar De La Hoya has wanted to fight Manny Pacquiao ever since he watched Pacquiao destroy the likes of Marco Antonio Barrera, Erik Morales, Juan Manuel Marquez and David Diaz. Oscar De La Hoya‘s desire was even pushed further after reading statements from Pacquiao’s trainer Freddie Roach who said that Oscar De La Hoya will not be able to ‘pull the trigger’ against Manny Pacquiao. “I felt challenged, especially from an expert trainer like Freddie Roach… If he thinks I can’t pull the trigger, then we’ll see on December 6,” said Oscar De La Hoya. Freddie Roach was in Oscar De La Hoya‘s corner in his fight against Floyd Mayweather, so maybe there is some basis of truth for the statements of Freddie Roach. Meanwhile, Manny Pacquiao thinks that he has the advantage in speed and technique, predicting that he would beat Oscar De La Hoya in the same way he clinically defeated David Diaz where Pacquiao chopped down David Diaz until he won via a 9th round TKO. “I’m faster and stronger than him, and I’m younger… He has an advantage in the height… but I believe I’m stronger,” was Manny Pacquiao’s statement. On a personal note, I believe in Manny Pacquiao that he may be faster and stronger, but then there is no questioning the resiliency of Oscar De La Hoya. 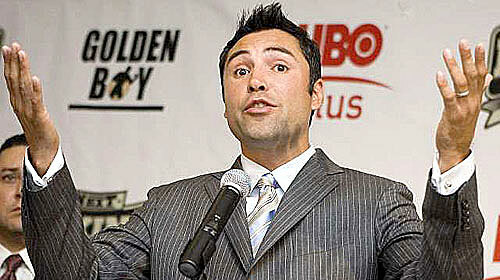 After all, De La Hoya is a six-time world champion, and has loads of experience in the boxing ring. I doubt, however, that Manny Pacquiao will be able to send Oscar De La Hoya to the canvas unlike he’s done with all his previous opponents. I also don’t think Manny Pacquiao will be able to be as successful in getting past the reach and height advantage of Oscar De La Hoya. I don’t really want Manny Pacquiao to lose, but then maybe this is the time he finally takes a loss and ends his winning streak. Eto na yung kasabihan na ma-humble siya ni Lord. Besides, Manny Pacquiao is entering the ring as the underdog, and there’s a reason why the favorites win most of the time. In any case, I hope Manny Pacquiao wins. It would be a good Christmas present for the Filipino people in all parts of the world. If not, then at least it’ll be a good conversation piece over Noche Buena. Whatever happens, Manny Pacquiao will have deeper pockets, and hopefully a lot of Christmas presents for all of us. Manny, ok na ako sa limang E-Jeepney. Gamitin natin dito sa neighborhood natin sa BF Homes, Paranaque. At X-Box 360 kung may natirang barya. Palagi naman din ako nananalo kapag ikaw ginagamit ko sa Fight Night 3. Kahit si De La Hoya at si Evander Holyfield, walang sinabi!